1. Cray fishing at the local county park. It's a 10 minute drive (if even that). Bonus points if we ride our bikes there. Seriously, we were there two hours last time when I finally talked the kids into going home. All we had was an old bucket (It was an old compound bucket from some home repairs), and gloves (my gardening gloves to be exact). 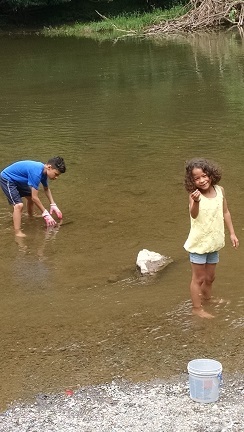 They had so much fun wading in the water and putting their caught crayfish in the bucket. 2. Swimming Pool. 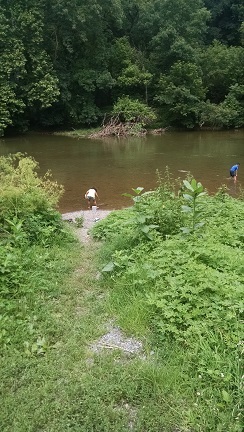 I bought a family pass to the county pool (same park that has a river and we crayfish in). Having a pool pass is awesome because not only does it save us money, but it saves me from having to spend the entire day at the pool. We sometimes go there for only an hour or two to swim, play and cool off and then we're gone. We don't have to pack huge coolers full of food and make a big day of it. We went to the pool after church on Sunday and only took one water bottle, three bananas, and a bag of pretzels. 3. Library. This is always at the top of my list. We usually go on Saturday early afternoons. We all pick some movies to borrow for the weekend. My son plays computer games and my daughter plays with the Legos. I peruse books and magazines and catch up on some blogs. 4. Ice Cream Shop. 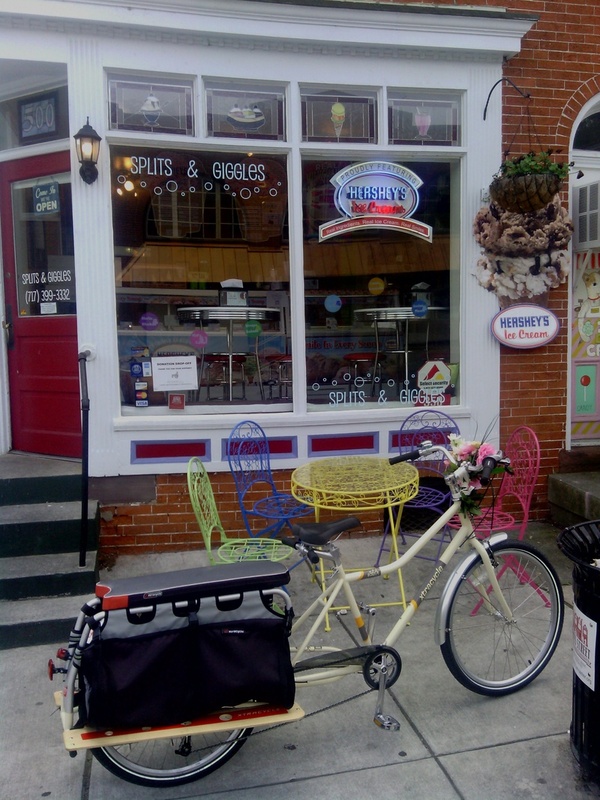 We walk or ride our bikes to our favorite ice-cream shop. It takes about 30 minutes walking to get there, so that's usually the best way to go. It becomes more of an event when it takes us longer to get there. Like we're on some kind of ice-cream trek. 5. Camping. This is cheap because we already have all our camping gear and we like to camp at a state park about one hour away. We usually only camp for two nights (Friday through Sunday). Tent camp sites are cheap per night and all I have to spend money on is food for the weekend. 6. Fishing. There are a few spots very close by that are great fishing spots. All I have to buy is worms. Bonus frugal points if we dig them up ourselves. Bleh! 7. Bike Rides. My 10 and 7 year old ride bikes very well. We all take out our bikes and I let one of them lead and we follow. Where they go doesn't matter. Where we end up doesn't matter. It doesn't matter that they don't know their way around the city well. We never get lost, but often find new places. This activity is a win-win for me. We usually ride for one to two hours. I love riding my bike and I get my exercise in. 8. Movies. We have a discount theater that we visit sometimes. You know the type. They show movies that are no longer showing in theaters, but not on DVD yet. It's only $2.50 for a matinee admission. For $10 (less than the price of one full-price adult ticket at a regular theater), I can take a family of four to see a movie. Sometimes we rent a movie at Red Box for $1.50 and we pop some popcorn over the stove and watch it. Sometimes we just watch the movies we borrowed from the library as part of a movie night. Watching movies is great for those rainy days or when it's so hot, humid, and muggy that no one wants to go outside. 9. Game Night. Bring out the board games and play. A fun after-dinner activity. We like to play Uno, Life, Trouble, Rummikub, even charades. 10. Go play with the neighbors. We've lived here 8 years now and know our neighbors and the neighbor kids. My kids will spend hours and hours outside with their bikes, scooters, sidewalk chalk, and toys just playing with the neighborhood kids. They ride their bikes up and down the sidewalk from one corner to the other. They always stay on our street where we can see them. Sometimes I have to call them inside for dinner. They scarf their food down and go right back outside to play. I love those days. I get so much done in the house and have some time for myself. 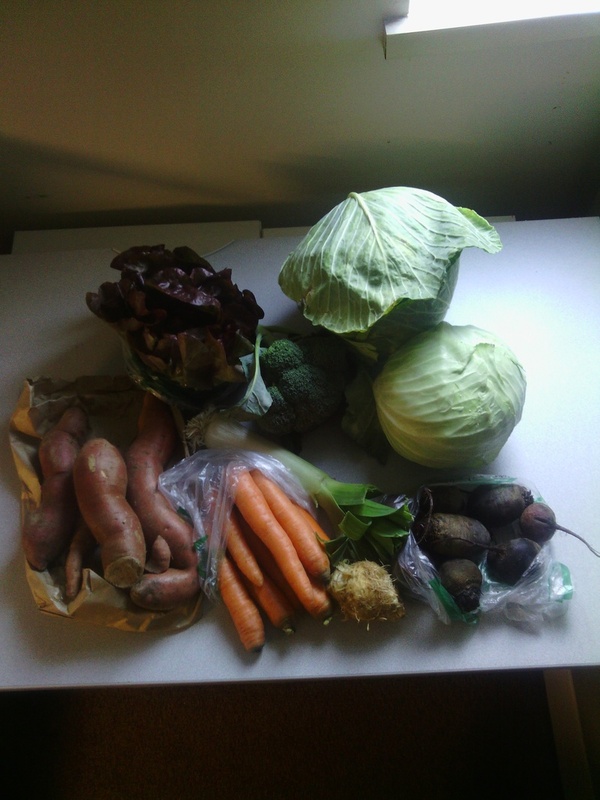 Yams, carrots, celeriac, beets, a leek, bib lettuce, broccoli and two heads of cabbage (actually there was only one head, but I grabbed another from the box of stuff you can switch around). I decided two heads of cabbage would suffice for my experiment this week of making saurkraut. Wish me luck! I'll post my results. Last, but not least, one big green thingy. I'm not quite sure what that large thing is back there. I tasted a hunk of it and it reminds me of Kholrabi, but I have never seen one so huge. They are generally harvested when they are no greater than the size of a baseball. I have been taking this season's local harvest as an opportunity to experiment with new produce and recipes I would have not otherwise tried. I took this baby kale home and having never eaten kale before, I looked up a recipe. I followed a recipe consisting of heating up olive oil and chopped up garlic cloves in a pan, adding the kale and vegetable stock, and eventually pouring red wine vinegar and salt and pepper to taste. I'm not getting into the specific recipe details because it was gross. Someone else might like this, but I can't post a recipe for something I myself didn't like. OMG it tasted like I was chomping on grass. I try to eat healthy the best I can, but I need my food to taste good if I'm going to eat it. I have a hard time with many green leafy things because they taste like I plucked a leaf off a nearby tree and started munching on it. Ugh. Grossness. Right now I have dinner in the oven. I looked up a recipe for brussel sprouts and also a recipe for baked macaroni and cheese. Here's the thing: my guilty pleasure is boxed Kraft macaroni and cheese. I purchased a ten-pack at Costco a few months ago and promised myself that it would be the last time I purchased this particular unhealthy convenience food. I mean seriously, I feel weird everytime I open up the paper/metallic cheese package and pour out some mystery "cheese" powder chemical thingy. That's just not right. This is one more step toward my goals. I have a goal of replacing as many packaged convenience foods as possible. Replacing one thing one step at a time is the way to go. Changing eating and buying habits has to be done gradually over time. This is a learning experience. I have to learn to master home-made mac and cheese before I go on to the next thing. I think the next thing will be flour tortillas. I ran out of flour tortillas a few days ago so out of curiosity I looked up a basic recipe. I was surprised to know that I already had all the ingredients to make them. The ingredients consist of flour, baking powder, salt, water, and olive oil. I am so doing this next! I read the ingredients on the package of tortillas that I purchased and, as always, there were a long list of ingredients some of which I can't even pronounce. Of course you have to include that many chemicals to make a pack of tortillas not expire for a year! Does anyone see anything wrong with that? I most certainly do. I don't want my children or myself consuming that many artificial ingredients. One step at a time, one recipe at a time, one product at a time I will take back what the food industry has taken from me and my family. Using the local library is a must if one wants to save money and still entertain oneself. The libraries today have evolved so much to provide such a variety of services and entertainment outside of books. Although, let's be honest, I absolutely love books and it remains my top reason for visiting the library. I have access to thousands of books, magazines, movies, etc without having to buy anything at all! I show my appreciation for the library by donating money every once in a while (in overdue fines, but still...). This last Saturday I took the kids to the library to hang out for a few hours. My son likes to go on the computers and play games. 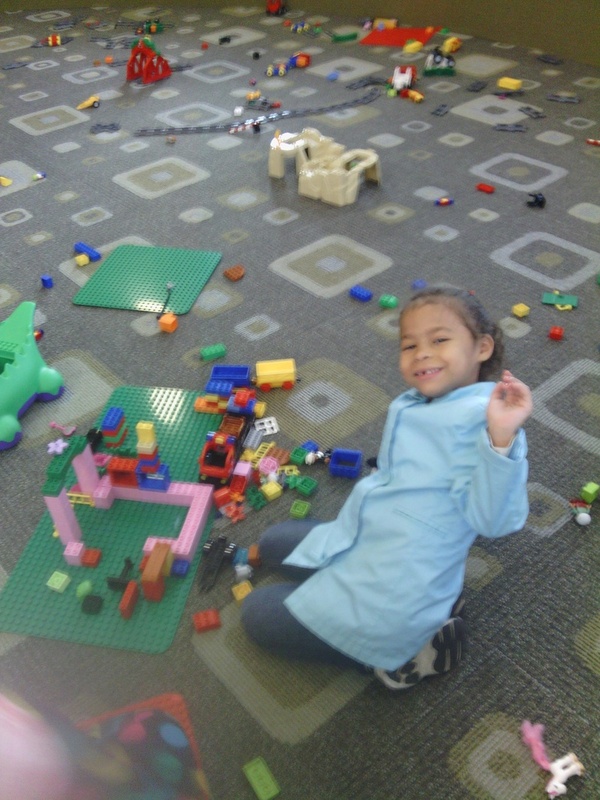 There is a play area that had Lego's out to play with for a few hours and that's what had my daughter busy the whole time. This place had thousands of Lego's in big plastic bins and all the room you needed to build a large masterpiece. This library also has movie night about twice a month. They play family movies on a big screen and you can buy snacks there or bring your own. We've watched Monsters, Inc, Meet the Robinsons, The Lorax, Legend of the Guardians, etc. It's always a good time and it's absolutely free. Key word....FREE. Oh! Here's another service that's pretty neat. If you have a Nook or other E-reader, you can borrow E-books from the library to load onto your device! Say what!? Yes indeedy. That is so cool. I had a Nook for a little while, and it's sooooo handy dandy, but I just love book pages and the smell of books. Am I too geeky? It's okay. I'm cool with that. Seriously, I can't say enough about my local library system. If you haven't visited your library in a while, go check it out. They have free wi-fi and all sorts of great stuff going on absolutely free. If you have kids, you MUST go to the library. Kids are expensive money eaters. This is one of the free things that we do that they love doing every single time. There's something for every one. Even those hard-to-please teens. When my teens are bored out of their minds and join me and the young-uns at the library, they have a good time too. One gets on the internet and the other finds recent fashion and teen magazines to browse through while sitting in front of an electric fireplace or in front of a ceiling-to wall window overlooking a beautiful scenic country. If you are not using your library's services, then shame on you. I'll say it again SHAME ON YOU. Our libraries need all the community support they can get to stay in operation. How can one not support such a free and wonderful system? 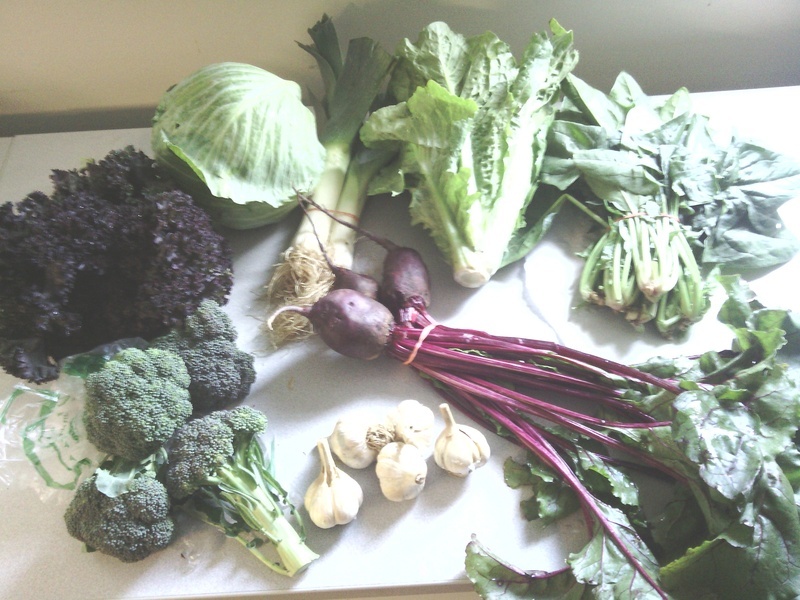 I just recently got around to posting my CSA Fall Share photo of week #3, and here I am with Week #4's stuff. I feel like I a getting these vegetables faster than I can post about them! 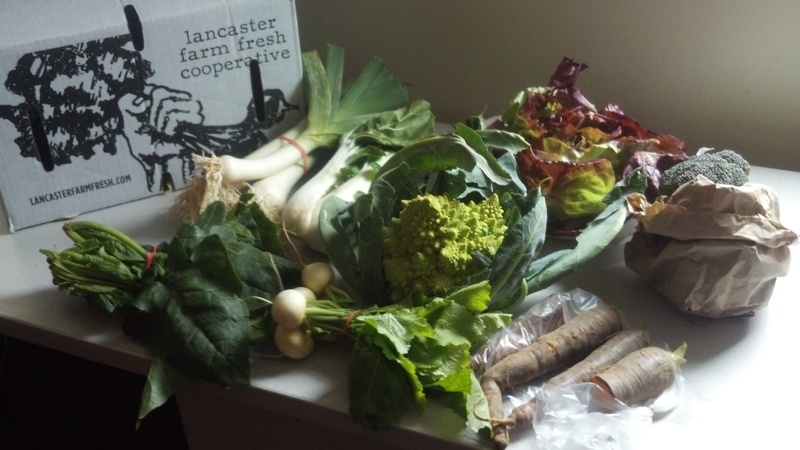 I am dumbfounded at the amount of produce growing here in Lancaster County at this time of year. We've already had a few days below freezing. These vegetables I get weekly are picked within 24 hours of being received at the pick-up location so we are talking fresh, fresh, fresh! I'm excited about the yams this week. I love candied yams and this will actually be my first time making my famous recipe with fresh yams (not out the can). I know, shameful right? Hey, I'm a work in progress...I'm getting there! One learning step at a time. I also love the cauliflowers. You can't too well in the pics, but each head of cauliflower is only about the size of a softball. They're so cute! Never saw cauliflowers that small before. The carrots and brussel sprouts look scrumptious and I'm not quite sure what the purple and white long thingys are. You know what I do with root vegetables that I don't recognize? Chop them up and throw them in a soup or stir-fry. Easy Peasy Lemon Squeezy. Whatevs. There is also a little bulb of celeriac which I've never seen in real life. I've only read about them in my vegetable gardening books so I'm pretty excited about that one. Overall, I'm quite psyched about my share this week....if only I can get around to eating last week's share! 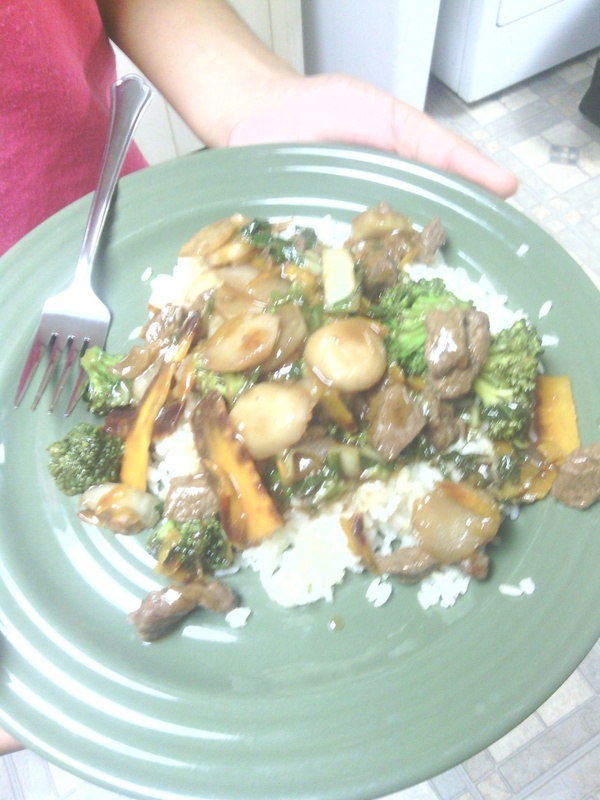 I took my share home and made some Teriyaki stir-fry over white rice. 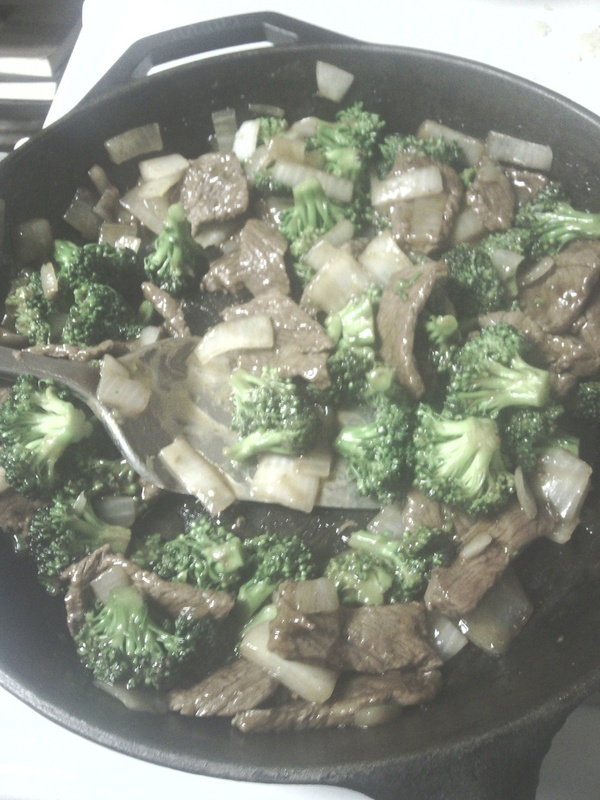 I stir-fried beef strips and onions first till the meat was browned. I chopped up the brocolli, radishes, carrots, and bok choy and threw it in there with a can of water chestnuts and stir-fried until the veggies were slightly cooked. I then added a bottle of teriyaki sauce and cooked a few minutes more. Stir-fry is always an easy way to use a bunch of veggies. I love getting things that I wouldn't normally try on my own. This was my first experience with radishes. My youngest daughter asked to try it when she saw me cutting them up into coins. I gave her one and she came back for more. She really likes these and we now have a healthy snack idea for her. She finished her dinner and asked for the rest of the radishes to eat with Ranch Dressing. Who can say no to that? One thing I love about riding my bicycle is that I notice things I don't notice when I'm driving my car. I guess in a car you are going too fast to notice some things and when you do, you can't turn around to look for fear of rear-ending the car in front. You can't slow down. You have to keep up with traffic no matter what. You know exactly what I'm talking about. It's like seeing a yard sale and you can't stop. You drive on wondering if they had anything good. Finding a place to turn around and then looking for parking is too much hassle so you just keep going feeling bummed that you missed out on what looked like good stuff...and it was in the rich neighborhood too! LOL. When I am on my bike and see a yard sale. Stopping and checking it out is no problem whatsoever. I don't affect traffic at all, I don't have to find parking, and I don't have to worry about finding a way to take my stuff home because my bike Lola carries just about anything. I've found some amazing yard sale items while riding around running errands. On one of these Saturday afternoons of running errands, I decided to take a different way home because there was road construction on my usual route. I was on a street I hadn't been on in at least ten years when I noticed something colorful on the corner. Naturally, I rode over to see what it was. It looked like some kind of little corner shop. When I got there, I saw it was the most adorable little ice-cream shop. It's called Splits and Giggles. How did I never see this? This shop is only a ten minute bike ride from my house, if even that! I snapped a pic of the shop with Lola in front of it and headed for home knowing that I was going to come back with my children. Sure enough, I told the kids about the shop I found and we all walked up later that day to check it out. The shop was so cute and quaint. They had home-made waffle cones, all kind of flavors, and great prices. By great prices, I mean that a kids' cone was less than a dollar. If I remember correctly, it was like $0.89. An adult-size waffle cone was like $1.89 and it had too much ice-cream in it for me to finish myself. The owners are really nice and this place is totally pet friendly. They keep a dog bowl outside with water for dogs and they even have dog treats you can purchase in the shop for your pooch. This place is amazing! You can sit inside and eat your delicious desert at one of two tables with high bar stools, or you can eat them outside on their cute little patio set. Oh, and they have all kinds of toppings you can pick from for like twenty five cents extra. I mean anything from sprinkles, crushed cookies, Lucky Charms marshmallows, and almost anything else you can think of. They have a long list of toppings. Since I discovered this place last summer we have visited at least ten times. Their flavors keep changing so we never know what to expect when we go in. It keeps us trying new things and I love it. I'm the kind of person that when I try something I really like, I'll keep ordering the same thing every time I go. Not in this place. Once I tried red velvet cake ice-cream and next time I went, they didn't have any, so I tried mint chocolate chip. That was awesome too. Next time I went they had neither and I ended up trying their strawberry cheesecake ice-cream. OMG! I'm writing about this place because one part of being frugal is exploring new places in your own neighborhood. 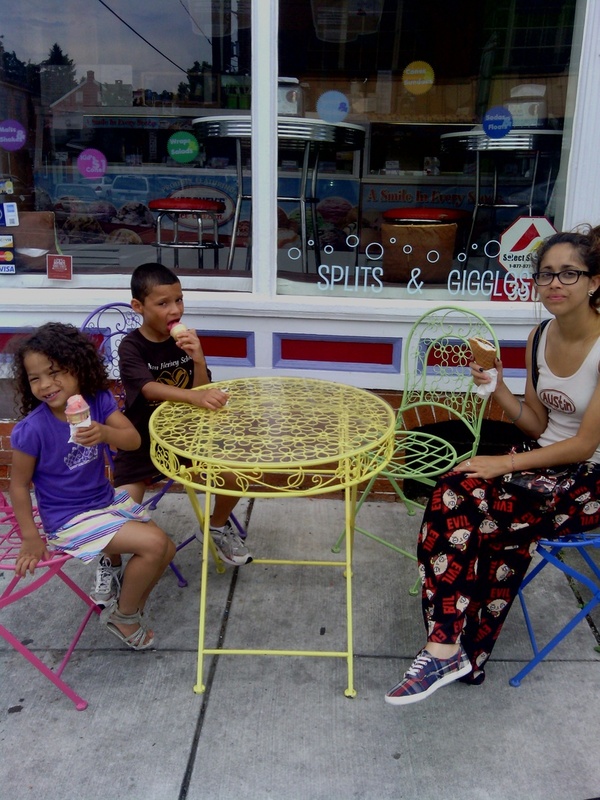 We found an amazing ice-cream shop within walking distance from our house that has great prices. We don't have to spend a ton of money and go out of town to have a decent time. I also feel good supporting local small business owners. I want to keep going to this shop and letting everyone know about it so they get more business. This is the kind of business we want to keep in our neighborhoods. Community supported agriculture is a program available almost anywhere in the U.S. For anyone who doesn't know what it is, it is an organization that partners with local farms to bring fresh,in-season produce to individuals who purchase "shares" of the harvest. The shares are distributed weekly at specified pick-up locations located throughout the community. Lancaster County is known for it's good soil and farmland. 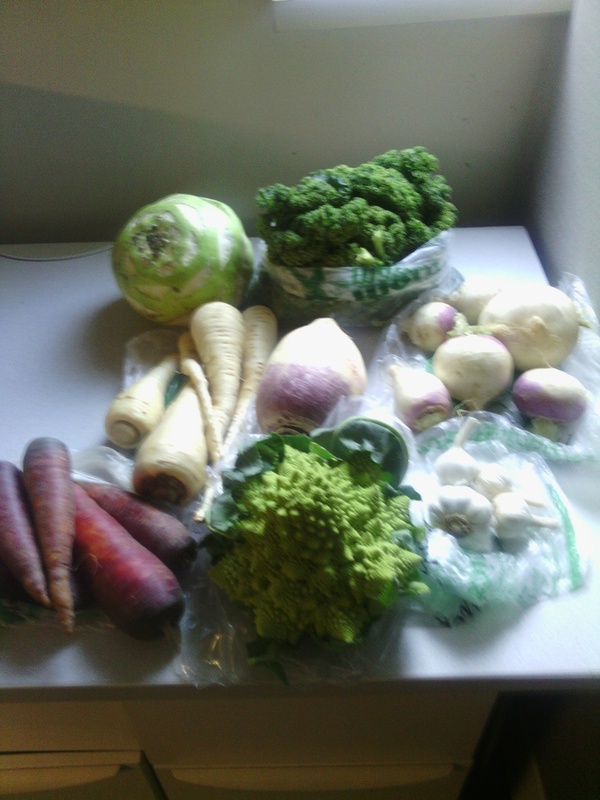 My local CSA program is partnered with about 75 local organic farms. You have the option of purchasing a share, or a half share (for smaller families) of the produce. 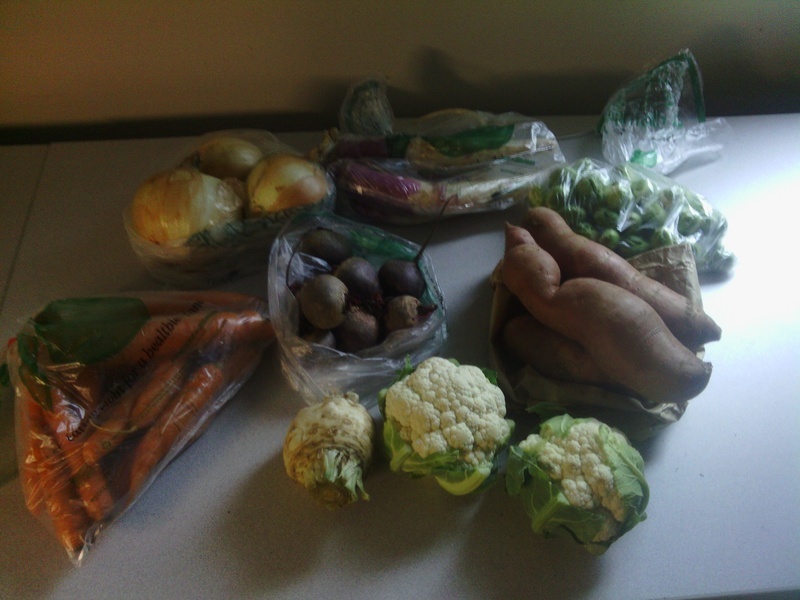 I elected for a half share since I do grow some of my own vegetables already at home and since I'm not a vegetarian (though I'd love to be, I just love meat too much), the half share box would be more than enough for our weekly vegetable needs. Everything is distributed within 24 hours of being harvested. Talk about fresh! I was really excited about this and the smell of these items in the box was driving me nuts all day long since I had them with me at work so they wouldn't sit in the car and get weird if the sun beat in the windows. I already had plans for the broccoli. I made beef and brcoccoli (told ya I love meat). It was so delicious. It was my first time making it and it was a hit. Looking for ways to have a good time with the family and keep spending to a minimal, I'm always on the lookout for local happenings that appeal to my frugal budget. Last weekend I took the children to a free harvest festival. They had a wonderful time playing games, eating, bouncing in bouncy houses, and other activities...totally free! At the harvest festival was a small petting zoo area and Eastland Alpacas had a few of their alpacas available for us to pet and cuddle with. I picked up one of their brochures and a flyer saying they're having an open house event at their farm the following weekend. What?! Two cool AND free events two weekends in a row?! Yes Please! 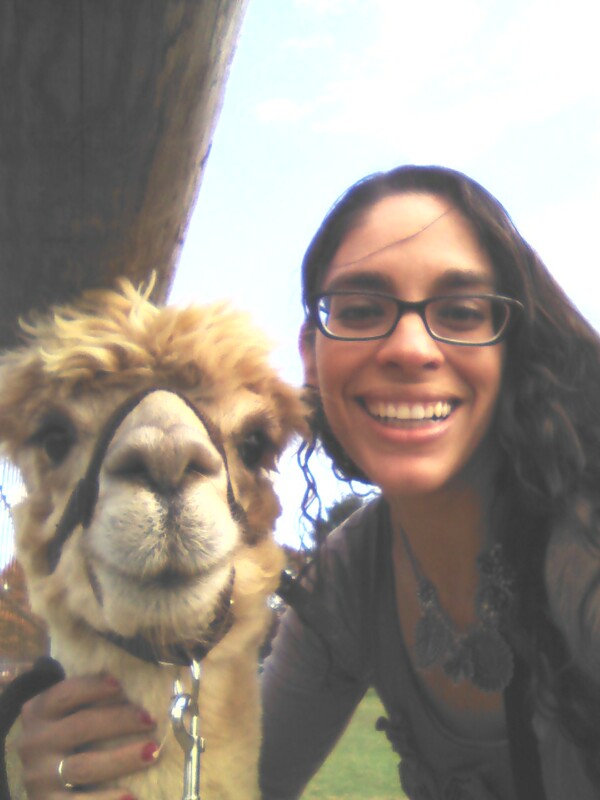 We went to the open house at Eastland Alpacas in Mount Joy, PA yesterday . It's only about a half hour from where we live. I tell you what, Eastland Alpacas know how to put together an event! It was so much more than we thought it would be. 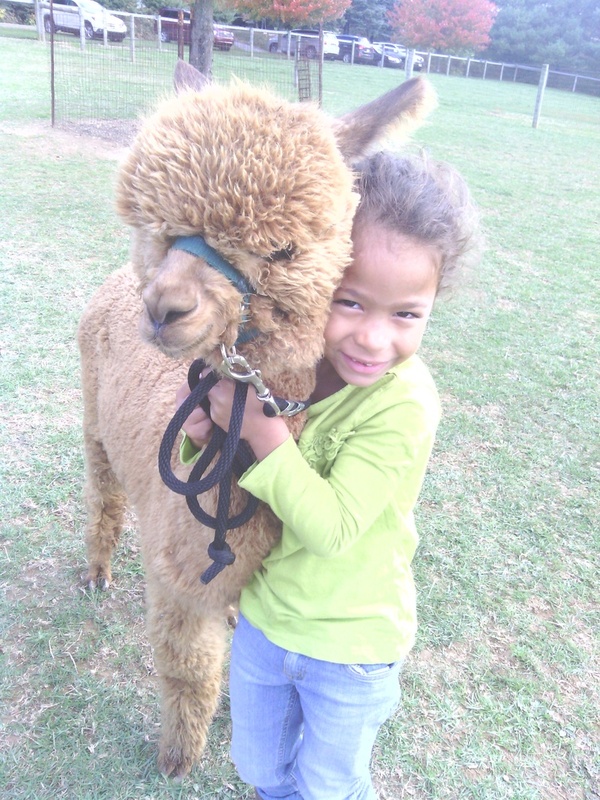 Our only expectation was to be able to touch some soft and adorable alpacas. We got there and were greeting with such wonderful hospitality. 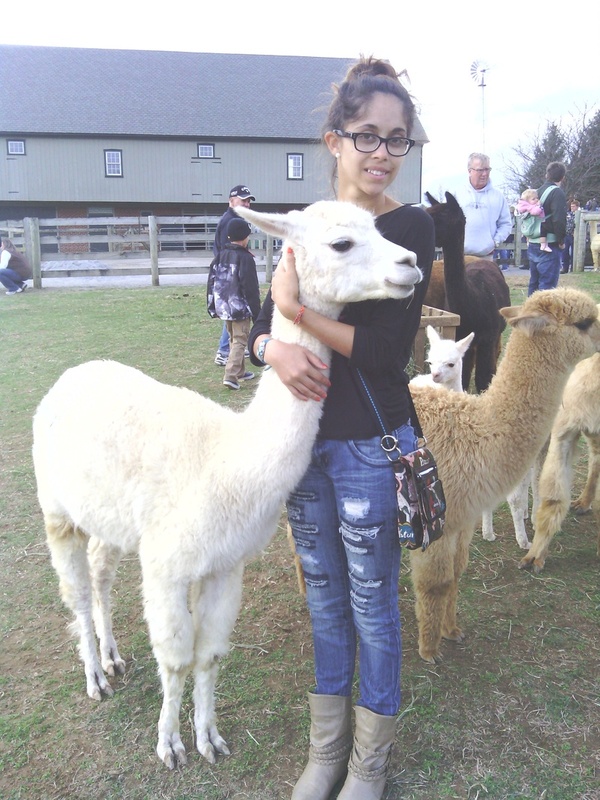 They had a barrel ride, hay ride, a balloon twister, alpaca educational presentations, alpacas demonstrating their skill on an obstacle course, a large enclosure to feed alpacas and another large enclosure to lead alpacas. They even had their farm store open where visitors can purchase a variety of alpaca products. They had everything from yarn, to sweaters, to stuffed animals. Doesn't she have a beautiful llama face? She was such a sweetheart! I loved her! 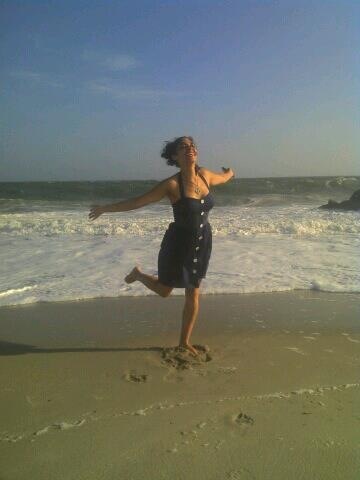 What surprised me the most was that my teenage daughter was having a great time. She wants to visit this farm again. Anyone with both teenagers and young children know how difficult it is to keep both age groups happy with one event. Alpaca with an afro! What can be cuter? 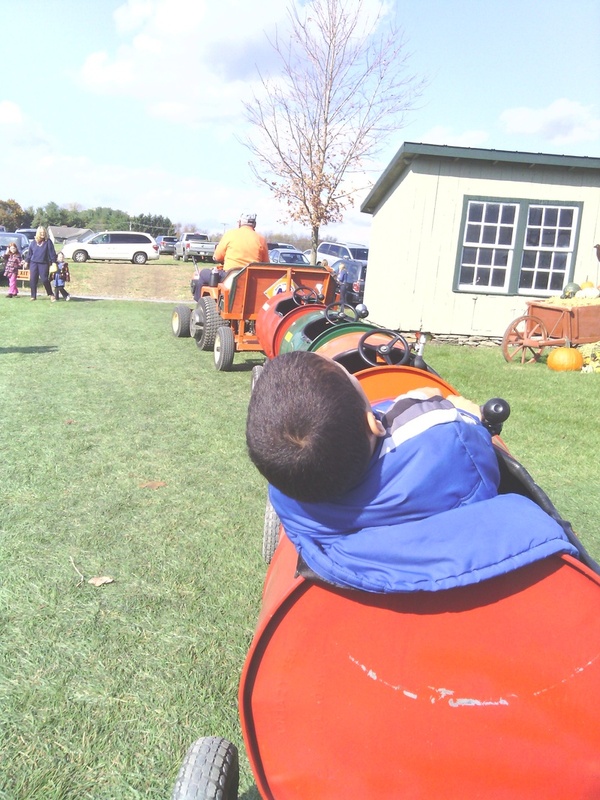 I joined my kids on the tractor-pulled barrel ride. Thank you Eastland Alpacas for a wonderfully-planned event. We are absolutely, positively planning to visit again.